"The real history of man is the history of religion." The truth of the famous dictum of Max Muller, the father of the History of Religions, is nowhere so obvious as in Tibet. 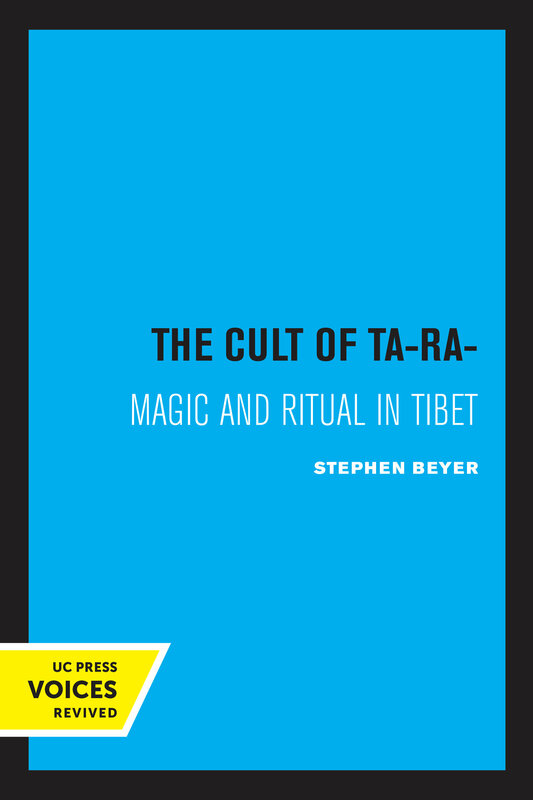 Western students have observed that religion and magic pervade not only the forms of Tibetan art, politics, and society, but also every detail of ordinary human existence. And what is the all-pervading religion of Tibet? The Buddhism of that country has been described to us, of course, but that does not mean the question has been answered. The unique importance of Stephan Beyerís work is that it presents the vital material ignored or slighted by others: the living ritual of Tibetan Buddhists. The reader is made a witness to cultic proceedings through which the author guides him carefully. He does not force one to accept easy explanations nor does he direct one's attention only to aspects that can be counted on to please. He leads one step by step, without omitting anything, through entire rituals, and interprets whenever necessary without being unduly obtrusive. Oftentimes, as in the case of the many hymns to the goddess Tara, the superb translations speak directly to the reader, and it is indeed as if the reader himself were present at the ritual. Steven Beyer has Ph.D. degrees in religious studies and in psychology, and has taught as an associate professor at the University of Wisconsin, Madison, the University of California, Berkeley, and the Graduate Theological Union. Beyer is an independent scholar doing research and fieldwork in ethnobotany, shamanism, ethnomedicine, and hallucinogenic plants and fungi, with a focus on indigenous and shamanic healing systems and the cognitive psychology of anomalous experiences. His current research centers on concepts of healing and the lived body across cultures, the cross-cultural transmission of ethnomedical systems, the role of alternative medical models, and differing cultural conceptions of herbalism and the healing plants.